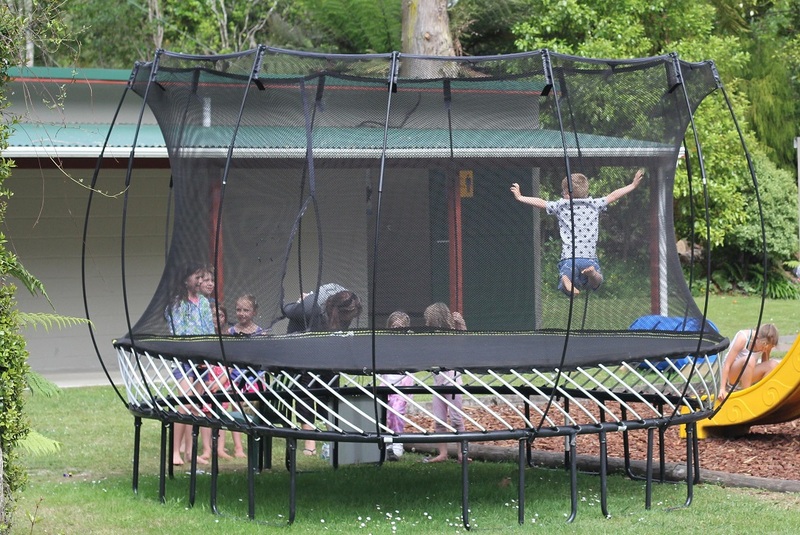 The humble trampoline has been a bastion of backyard fun for years. That weightless sensation you have when you’re at the very peak of a huge jump is just thrilling, and hard to find anywhere else. Most kids (and adults) simply love it and as a children’s Occupational Therapist I find myself talking about it and encouraging families to get bouncing all the time. There are so many benefits of trampolining that it’s difficult to cover them all in just one blog post. I’m going to talk about the main benefits that I see for our kids. Some of the benefits of trampolining will be immediately obvious to you. For one, it’s a super-charged cardiovascular workout that gets our kids hearts thumping and the blood pumping. In fact, a study carried out by NASA found that just 10 minutes of trampolining is a better cardiovascular workout than 33 minutes of running. If you want to read more about the science behind this, click here. But the benefits don’t just stop there. Trampolining also helps us to better engage our sense of balance and body awareness. Our balance machine is controlled by the vestibular system and is located in our inner ear. Our vestibular system not only helps us to balance and navigate our environment without falling over or banging into things, but it also has a huge impact on our muscle tone (i.e. : how floppy or tense our muscles are), and even how our eyes move. I see so many children in my clinic with balance machines that are not working as well as they could be. These kids often have ‘floppy’ postures when they’re sitting in their school chair, or they may even swing back in their chair. Others cannot tolerate tilting their head backwards to have their hair washed, and will refuse to put themselves in situations where they need to have their two feet off the ground. They often can’t move their eyes in a well-coordinated way to read text, or to track a ball to catch it with their hands or hit it with a bat. Sometimes these kids are extremely fearful of swings and slides; while others just have no fear at all, so much so that they put themselves at risk (e.g. : climbing and jumping from dangerous heights etc). These children tend to need a lot of help to get themselves organised. All these kids have difficulties with their balance machine, and benefit from targeted therapy to help their vestibular system to work more efficiently. More often than not, trampolining is a key part of our treatment plan. As these kids bounce, their balance machine is coming to life and their developing brain will start to organise these sensations in a more effective way. Trampolining may also help us to avoid those winter sniffles. As our children gleefully bounce, their bodies are busily detoxifying. Bouncing increases the circulation of lymph fluid through the lymph glands. Our lymphatic system works as a defence mechanism helping us to fight against infection such as viruses and bacteria. Maybe it’s time to add a bit of bouncing to our daily health regimes? The best thing about trampolining is that it’s FUN. It makes our children feel good and they have a great time bouncing and moving their bodies through space. What an awesome stress-buster after a busy day at school. I encourage trampolining for all ages. There are great mini-tramps that you can get these days for younger children that have safety handles. 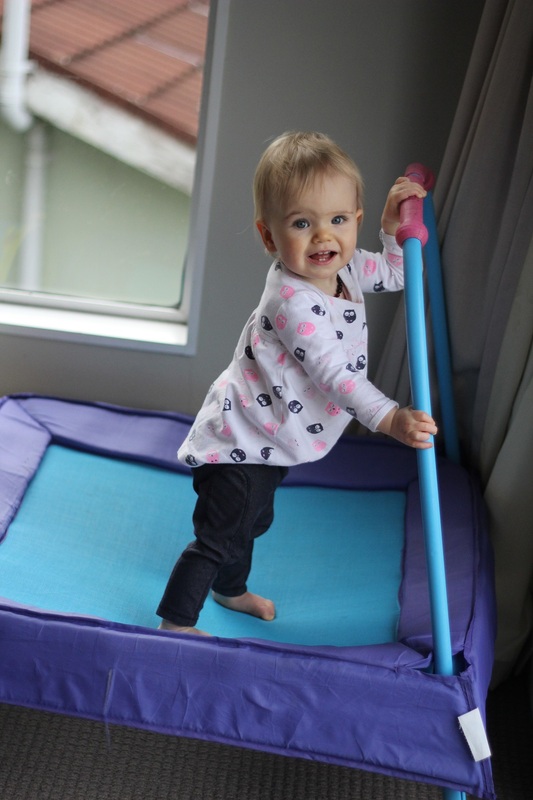 This allows your child to safely stabilise themselves as they bounce. These are also great indoor bouncing options for when it’s raining outside. 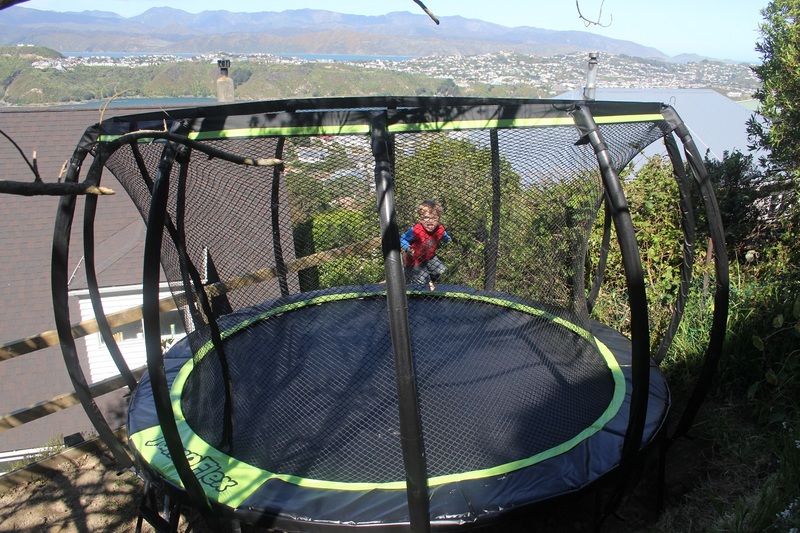 For the bigger children, I always recommend trampolines with safety-nets. Thankfully the days of the perilous over-jump and spring landing (ouch!!) are over and we now have super safe options for our kids.